Nena Gilreath is a graduate of the North Carolina School of the Arts where she received a Bachelor of Fine Arts in Dance. Ms. Gilreath began her career by moving to Atlanta and joining the Ruth Mitchell Dance Theatre. She later joined the Dance Theatre of Harlem, touring nationally and internationally. She was also a member of the cast in Creole Giselle featured on NBC’s 60 Minutes documentary about Dance Theatre of Harlem. 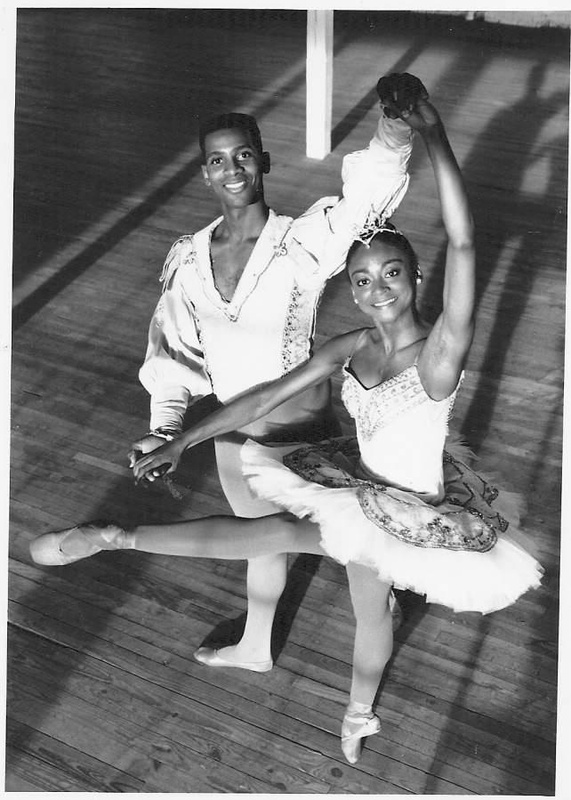 Ms. Gilreath returned to Atlanta in 1988 to join the Atlanta Ballet, where she continued to perform such ballets as Giselle, Serenade, Stars and Stripes, and Coppelia to name a few. She also performed the role of the Sugar Plum Fairy for Artistry in Motion in Detroit, Michigan; and Ebony Dance Theatre in Columbia, South Carolina. While performing for the Atlanta Ballet and the Heartstring National Tour benefiting AIDS research, her interest in creating outreach programs for children was greatly enhanced. With the creation of Ballethnic Dance Company January 15, 1990, she has implemented numerous outreach programs including the BUDDY Project through the Atlanta Project, which served as a model form the existing Danseur Development Project. She also assisted husband Waverly Lucas II with the choreography for Something Inside So Strong, which was the predecessor for the company blending ballet with African dance. Ms. Gilreath currently serves as co-founder and co-artistic director of Ballethnic Dance Company and Ballethnic Academy of Dance. She continues her original role as a dance artist and mentor for many young dancers. Throughout the years, many roles have been created for her including Little Wing, Urban Nutcracker’s Brown Sugar, and The Leopard Tale’s Leopardess. She was creative Loafing’s 2000 Best of Atlanta Critics Pick-Best Dancer, she received Atlanta Business League’s Success Against The Odds Award in 2001. She along with husband, Waverly T. Lucas, II received the 2002 Global Diversity Business Exchange Atlanta Entrepreneur Award. Ms. Gilreath is a recipient of The 2003 Pinnacle Leadership Award. Ms. Gilreath continues to serve on grand panels, dance panels, and education panels. She frequently speaks to young people throughout the United States on becoming a professional artist and achieving success in the field. She is a member of the International Association of Blacks in Dance where she has taught ballet, performed, and served on dance panels.